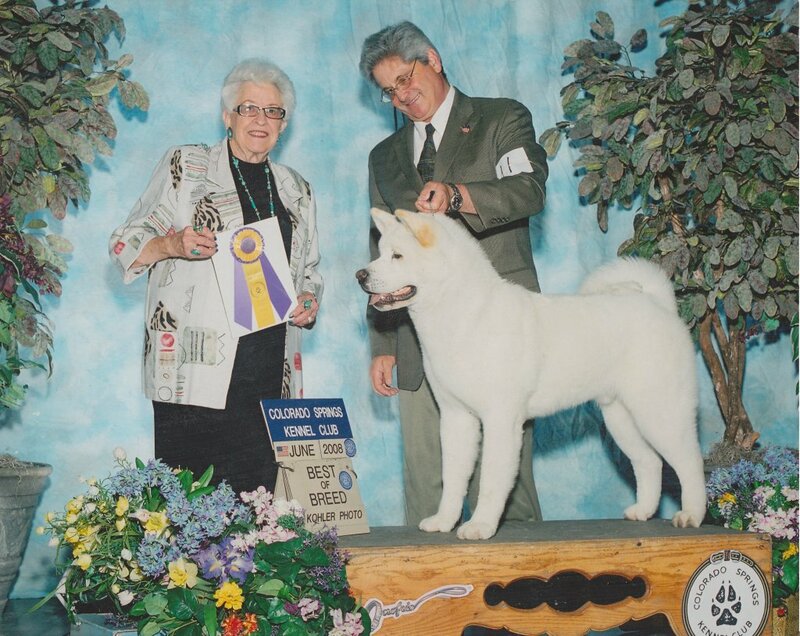 Kiowa Akitas foundation is based on the love of the breed and the promise that our Akitas and the showing of our Akitas is a Life Style and not a hobby. Thirty three years ago I decided after much research, the breed that most suited my personality was the Akita and I purchased Miko. Today I feel it was a perfect match. Fundamentally our theory on dogs is that we address all aspects of our dogs. We take into consideration Temperament, Breeding, Handling, Training, Nutrition, and Conditioning. In our dogs and ourselves we demand allot, but we also reap the rewards of those demands with great success.